Tour Tasmania on the latest and greatest BMW R1200GS adventure bike. We have two 2018 and one 2017 bikes available. 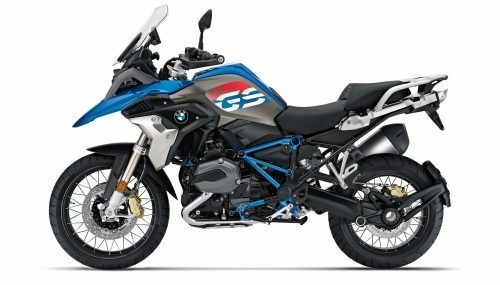 The BMW R1200GS is the benchmark in the big bore Adventure Bike market. Now YOU can see what the fuss is all about. All our GS’s feature; Wire Wheels, self leveling suspension, powershifter and tilting ABS to name just a few of the features. All bikes are with BMW Nav V or V1 GPS as standard. Enquire now to book your tour of Tasmania on the latest big beemer. 4 Riding Modes, adjustable engine mapping. On board tyre pressure indicator. BMW TANK BAG now available for $20 per rental. * Min 2 day, one day rental is available but on standby basis only. Min 5 year recent powerful bike experience. Full license for more than 5 years. 320km per day free then 70 cents per km for excess km’s. Kilometers are averaged over the rental period.